To ensure delivery, please add us to your safe senders list. Your business has grown expert at relating compelling brand stories through video on YouTube and Facebook. Now there’s a new video opportunity. Since its launch last year, Instagram TV (IGTV) has burst forth as a dynamic new platform for video content. With IGTV, you can get ahead of rivals by offering long-form tutorials, presenting vertical videos for mobile viewing, and more. Here’s how to get started. PR and advertising insight, follow us! At first blush, it may appear IGTV is no more than a YouTube wanna be. Both, after all, are online video platforms. 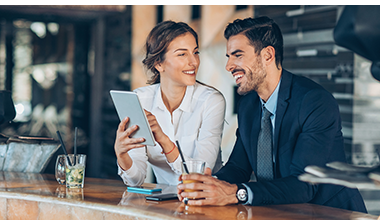 However, look closer and you’ll find the new kid on the block serves up its own slew of attractive benefits. IGTV enables marketers to extend their Instagram strategy and boost engagement with Instagram followers. It’s also expressly designed to optimize presentation of visually-beautiful content, videos featuring rapid editing and long-form, “show, don’t tell” tutorials. In addition, IGTV videos do not disappear after 24 hours like Stories. They stay on your Instagram channel, unless you delete them. We give screen time to the new video platform of Instagram TV (IGTV), exploring the distinctive attributes of the channel and how best to maximize its business benefit. Viewers devote one-third of online engagement to viewing videos, Wordstream stats reveal. Mobile devices account for more than half that viewing. Listen to the Audiobook Instagram Marketing 2019, by Jack Gary and Macken Murphy. Help viewers learn something new. That’s what home décor and accessories company West Elm did in presenting tips, tricks and apartment makeovers on IGTV. 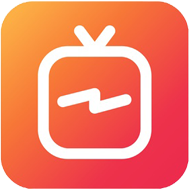 Email or call us at 708-246-4211 to learn why you should consider marketing on IGTV, and how to use it most efficiently to grow company sales and profits. Early adopters have been wowed by a raft of IGTV app upsides. They include excellent integration with the original Instagram app, ability to dish out repurposed Instagram Stories as well as new content, the chance to make their videos shoppable by including links to external sites and opportunity to engage with viewers in a still lightly populated forum. In addition, given Americans’ increasing desire to view videos on their phones, IGTV’s vertical format means your videos optimize for mobile screens. We’ve just outlined some of the prime reasons for marketers to try IGTV. Now let’s drill into the emerging understanding of IGTV best practices. Following strategies like these could help your company wring the greatest return from its IGTV content. Clock management. One of IGTV’s much-trumpeted benefits? Its 60-minute-long video limit, which permits lengthier training or DIY installation videos. Balance that freedom with grasp of average viewing habits, and ensure most of your videos run less than three minutes. Consistent branding. Your company’s videos on IGTV should be extensions of your Instagram and Instagram stories branding, delivering consistent branding. Optimize verticality. As much as possible, create new 9:16 aspect ratio content ideal for smartphones, rather than producing horizontal or square videos. Present fresh material regularly. Your IGTV videos should be exclusive to the channel, giving viewers motivation to visit. They should also be uploaded on a regular and frequent schedule, rather than in hit-or-miss fashion.